A new member of the MCA, designer Katrina Kelley of Amphitrite Studio creates clothing and accessories made with natural, eco-friendly organic fibers sourced from fellow US-based small businesses. Offering dresses, skirts, tank tops, leggings, tunics and more, her clothing can be purchased pre-made or custom to fit all shapes and sizes. 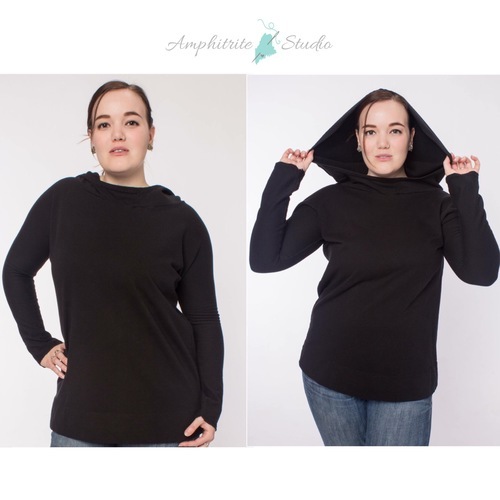 Amphitrite Studio clothing is designed to provide the wearer with comfort and ease through daily life -whether it be work, play, or an evening out. Truly a one-woman show, Kelley designs, sews, photographs and promotes her business, and manages orders from her home studio in Newcastle, Maine. In addition to her line of clothing, she offers tailoring and alterations for custom projects. 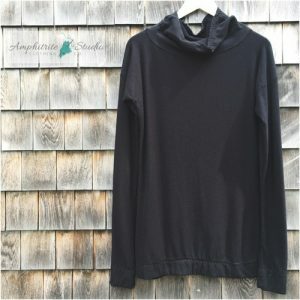 Amphitrite Studio’s line of scarves and cowls are now available at the Center for Maine Craft, with an addition of organic bamboo fleece tunics coming soon!